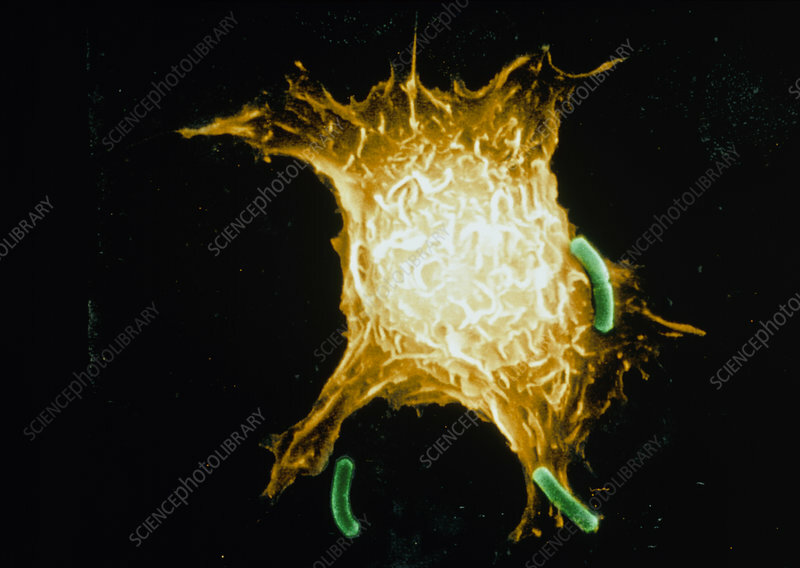 Macrophage attacking bacteria. Coloured scanning electron micrograph (SEM) of a macrophage white blood cell attacking bacteria (green). The macrophage is extending pseudopodia (cytoplasmic projections) towards the bacteria to engulf them. This process is known as phagocytosis. Macrophages are part of the immune system which keeps the body free of invading organisms. Once engulfed, the bacteria are destroyed. Magnification unknown.